Children can’t contain their excitement as they receive God’s wonderful Word. Many of the students we serve cannot afford a Bible and do not have access to God’s Word. But you are changing this reality by helping us get the Word of God into their hands! → Friends like you gave generously and helped us develop a brand-new Discipleship Bible in conjunction with Tyndale House Publishers. → This easy-to-read Bible will help the children we serve connect with Scripture, engage in spiritual growth, and be discipled in faith. Our special-edition ChildHope Bible features age-appropriate study notes, vibrant, full-color pages illustrating Bible stories and parables, and 30 pages of unique discipleship content. We’re pleased to report that Bible distribution is now underway! Thanks to the faithful support of sponsors like you, children in ChildHope sponsored schools are receiving God’s Word. Schools in the Dominican Republic are using the Bibles in Chapel. Now, the children bring their personal Bibles with them to Chapel to follow along with Scripture reading. 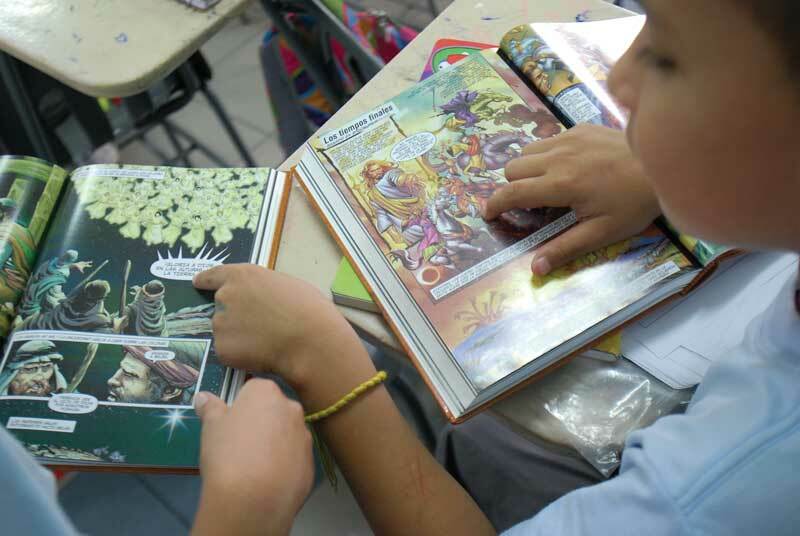 Students at the Jerusalen school in San Pedro were encouraged to take their Bibles home and read them daily with their parents or grandparents. 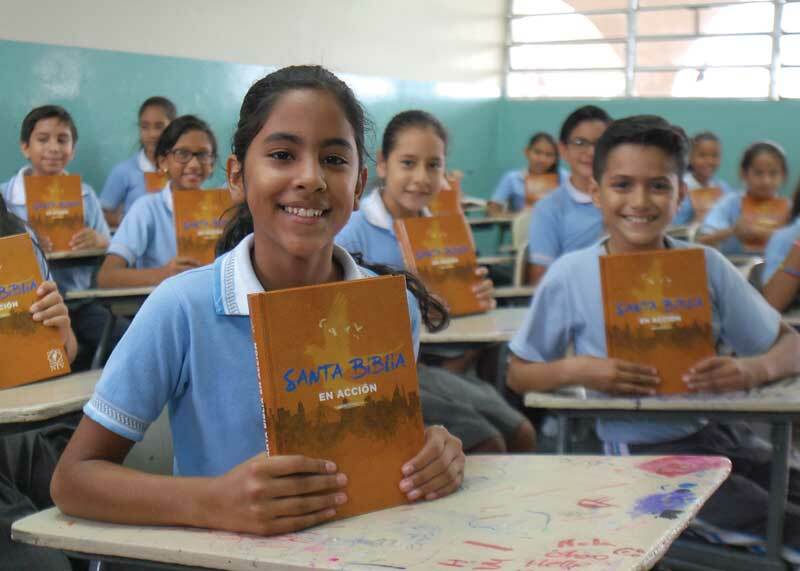 Our partner schools in Panama received 7,520 Bibles. They immediately distributed 4,000 Bibles, and the remaining Bibles will be given to every incoming 2nd grader for the next five years! Thank you for helping in this wonderful evangelistic effort to reach children and their families with God’s life-changing, eternity-shaping Word. Your support is making a difference.